At Best Theratronics, we provide a safe and healthy working environment for our employees, fulfill safety & health-related requirements of our commercial products and services, and ensure protection of the natural environment by using environmentally sound operating practices. Our operations are guided by four main principles that shape our environmental, health and safety policy: compliance, prevention of pollution, ALARA, and continuous improvement. 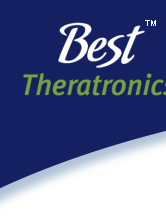 At Best Theratronics, we manufacture blood irradiators, external beam therapy units and cyclotrons to supply health care institutes internationally for treatment and research. We commit to keeping radiation exposures for our employees, the community and the environment as low as reasonably achievable (ALARA) through frequent monitoring of our operational activities. Radiation is all around us. Radiation is the emission of energy in the form of electromagnetic waves or subatomic particles Some examples of the different types of radiation include radiowaves, microwaves, visible light, and x-rays. Based on how energetic these emissions are, they can be classified as either non-ionizing and ionizing radiation. The classification most people are familiar with is ionizing radiation. This type of radiation possesses enough energy to knock out orbiting electrons surrounding an atom. Examples of ionization radiation are x-rays and gamma rays. Q: How do your products at Best Theratronics utilize radiation? Hospitals and transfusion services irradiate stored blood inventory at low radiation doses in order to prevent Transfusion-Associated Graft-Versus-Host Disease, or TA-GVHD for short. TA-GVHD causes an immune response of a blood transfusion recipient, attacking the transfused blood and creating medical complications. Our blood irradiation products use either x-rays or gamma radiation. Our external beam therapy units incorporate radioactive sources that produce gamma radiation for the treatment of variety of cancers. These radioactive sources are heavily shielded in the treatment head of the therapy machine. When a treatment starts, the source is moved to an exposure position. The radiation field is then shaped to localize the treatment to a specific area, such as a tumor, and minimizing unnecessary damage to other parts of the body. Cyclotrons are used by health care facilities to produce medical radioisotopes for diagnosis and treatment of diseases. Particles are accelerated to bombard a variety of elemental targets, resulting in radioactive substances that can be used for nuclear medicine or imaging. Q: Does the manufacturing of your products produce nuclear waste or radiological release into the environment? The radioactive sources incorporated into our devices are contained within a double-encapsulated casing. These capsules are very robust and are welded shut in designated shielded rooms called hot cells. As per international regulations, the source capsules are tested for any leaks prior to shipment to and from our facility. These sources are loaded into heavily shielded transportation containers within hot cells and then checked for external contaminations prior to shipment. The release of any airbourne contamination created at our Kanata, ON manufacturing facility is extremely unlikely. As a precaution, and as part of our radioactive materials licence, we have implemented in our radiation protection program continuous monitoring for indications of the release of radioactive contamination. In addition, we have developed a program for our customers where we accept their legacy blood irradiator and external beam therapy radioactive sources for proper disposal at licensed facilities. Q: How do you ensure radiological protection of the environment and to your employees? Continuous training of employees on radiation safety and their working environment. Radiation area monitoring around the facility. Contamination monitoring of temporary radioactive source storage locations. Dose monitoring of employee radiation exposures through dosimeter reading. Ensuring employees are aware of regulatory changes by offering refresher courses. Conducting monthly Environment, Health & Safety Committee meetings to discuss employee concerns. Implementing corrective actions/preventative actions framework to recognize and ensure deficiencies do not occur in the future. Conduct annual audits to find deficiencies in our environmental, health & safety programs. Hire specialists to guide us on the development of such programs and address employee and community concerns regarding their safety and the environment. For more information, please email us at . Click here to learn about our Public Information Program.